Jo has written hundreds of news articles, feature stories, columns and reviews for dozens of newspapers, niche magazines and nonprofit organizations and colleges across the U.S. primarily, as well as a few in the UK and Australia. 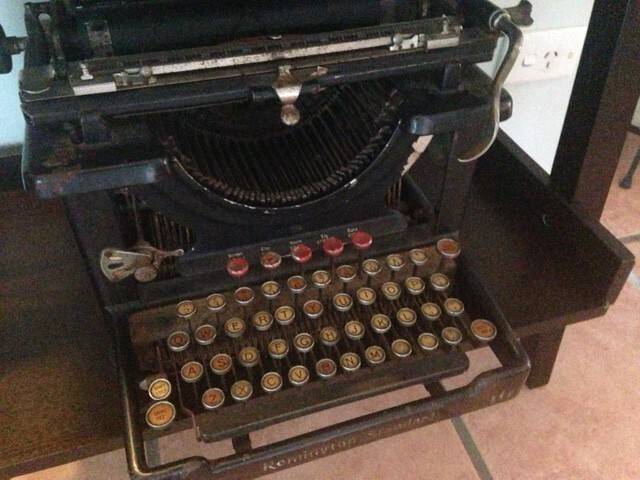 (For the record, she does not write on this old typewriter though it does inspire her.) From the Boston Globe, Huffington Post and The Salem News to NorthShore Magazine and Christianity Today to the Council for Christian Colleges & Universities, NYU Today, The Columbia University Record, the Essex County Community Foundation and the Female Coaching Network, Jo’s professionalism, commitment to craft and love for a good story has led her to many a fascinating interview and published article. She writes on culture, higher education, the arts, community issues, people profiles, small businesses and whatever else grabs her curiosity. Jo started and contributed regularly to the column, Art & Soul in PRISM magazine for many years; her columns, which explore the intersection of justice, beauty and creativity, are featured in this compilation of columns along with other writers. For over ten years, she has been an active member of the American Society of Journalists and Authors. Jo also served as journalist in residence from 2009 to 2014 at Gordon College where she established and directed the Gordon College News Service, an internship for advanced journalism students to report for local newspapers.